Strong and independent, Roxy Thorne is a fighter. She knows exactly what she wants, especially when it comes to men. She's got them wrapped around her finger and all figured out. Until she meets Kade Thomas.. He storms into her life like a knight on a white horse to save her, but the fiery Roxy doesn't need saving. With a past that keeps holding her back, it's up to Kade to break down her walls. But can he prove to her that she's been wrong all along or is he just another break in her heart? Caught between a rock and hard place, Roxy Thorne is in a bind. 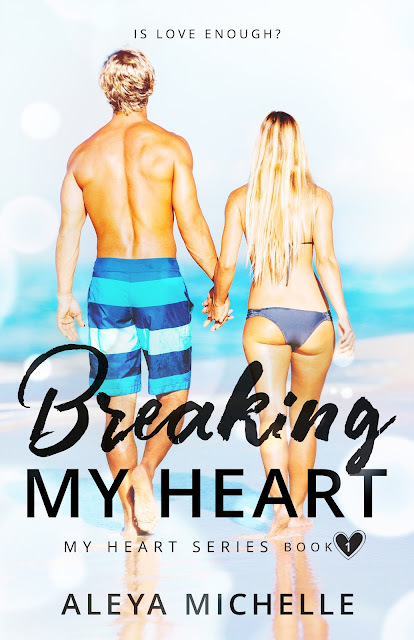 Wounded and broken, she struggles to pick the pieces of her heart back up. With help from Dylan, she searches for her strength. After all, Dylan's been her lifeline, her rebound, through her darkest times. But Kade Thomas is the man who showed her the true meaning of love--even with all its despair, vulnerability, and pain. He holds her heart in the palm of his hand. But two men, two journeys, bring her to two very different roads in life. But which path will bring her to her happily ever after? After everything, all the twists and turns, Roxy Thorne and Kade Thomas have found their way back to one another. Soulmates destined to be together. But when another obstacle gets in their way, it's up to Roxy and Kade once again to withstand the chaos and turmoil to fight for what they've always wanted. But can these two damaged souls find the strength to win the battle for a happily ever after? Aleya Michelle is the Author of seven full length novels and one novella, genres range from contemporary romance, Romantic Suspense to Dark Romance.